Check Rates & Availability at Holiday Inn Express SHOW LOW! Show Low, Arizona Hotel Located in the White Mountains As the gateway to the White Mountains, Show Low offers countless recreational activities and attractions. Our Holiday Inn Express Show Low hotel is located in the heart of Show Low near great restaurants and shops. Guests traveling for pleasure find our hotel's location in Show Low, AZ ideal for exploring the White Mountains. Sunrise Park Resort offers great winter and summer activities like skiing, snowboarding, mountain biking and fishing. From a short walk to a day-long hike, the White Mountain Trail System in the Apache-Sitgreaves National Forest has a trail for every skill level. Torreon Golf Club offers 36 holes of championship golf just two miles from us in Show Low, Arizona. 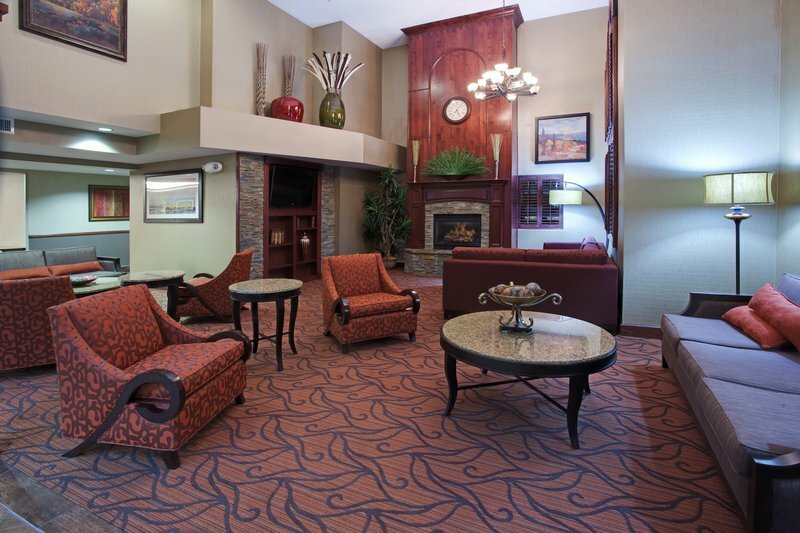 Our hotel features excellent amenities for the corporate traveler including free high-speed, wireless Internet access, executive rooms, copy and fax services and a free morning paper. Need a place to host an event in Show Low? We have a 1,800-square-feet meeting room that can serve up to 100 people. We go beyond other hotels in Show, Low, AZ to provide our guests with the complimentary Express Start breakfast bar served each morning. Television and free bottled water add convenience when working out in the fitness center that features cardiovascular equipment. Enjoy a relaxing swim in our indoor pool and whirlpool. We look forward to your upcoming visit to Show Low and our hotel.